Is Your Check Engine Light On Plainfield, Naperville, Bolingbrook, IL? Is your check engine light is on? Don’t worry, Last Chance Auto Repair offers a 100% free check engine light code retrieval, inspection, a.k.a. computer scan. Hence will let you know what’s going on, break it down, then get you back on the road smoothly, safely, plus as always affordably. Checking domestic & foreign vehicle check engine lights A-Z. 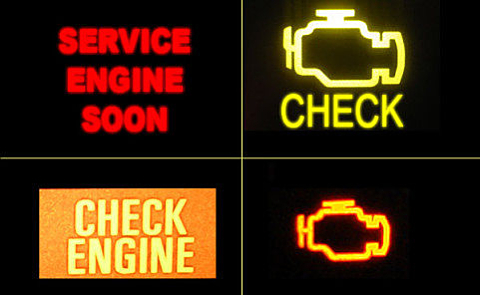 Has your check engine light been on now for awhile? Did your check engine light just start flashing? If your check engine light is on, it’s typically a sign of a problem. You need to get to the bottom of the issue before you have a major problem on your hands. The bigger the problem the more it’s going to typically cost you to fix. Is your check engine light on Plainfield, Naperville, Bolingbrook, Romeoville, IL, or any surrounding suburbs? Last Chance Auto Repair has you covered! Is your check engine light on and or flashing? Either way I’m sure you would like to know why it’s on, how to shut it off, and how much it may cost you to fix. If your check engine light is on or flashing, it’s time to come to Last Chance Auto Repair for a free check engine light diagnostic, inspection, hence computer scan. Without our auto mechanics plugging in our diagnostic equipment to your computer it would be nearly impossible to say exactly why your check engine light is on or flashing. But we can breakdown a few culprits that may be the reason your check engine is illuminated. • A loose gas cap. • Bad spark plug wires. • Bad spark plug/ignition coil. • EGR valve problem. • Bad mass air flow sensor. • A fuel pump starting to go bad. • A problem with your catalytic converter. Dealing with a check engine light on your vehicle’s dashboard can get frustrating. The check engine light is meant to warn you of a problem. Why is the check engine light on? Sometimes it can be a mystery, but not with Last Chance Auto Repair.